The Communities and Local Government Committee recently raised concerns regarding public awareness of competent person schemes when hiring an electrician. Competent person schemes are a government-approved certification that confirms a person’s ability to complete electrical work that complies with Part P of standard building regulations which relates to electrical safety. Despite how important correct electrical work is, not only for safety reasons, but also to comply with legal standards, public awareness of the Part P standard is incredibly low. Currently the public awareness of Part P stands at a dismal 14%. This lack of awareness poses potential dangers to the public as not knowing the expected standard for electrical safety means that they are less likely to be able to identify sub-standard or unsafe work. This may also mean the public may not know that electricians should be certified to meet these standards so could therefore put them at the hands of a cowboy if they don’t ask for proof of competence. Not only does a lack of knowledge about Part P hold a substantial health and safety risk, it also carries legal issues. For example, if work hasn’t met Part P regulations and later causes a fault, insurers won’t provide payouts for any damage caused. This is because the work wasn’t signed off as being with the current building regulations by a competent person. Chair of The Communities and Local Government Committee, Clive Betts, has said that the current level of Part P public awareness is unacceptable, especially considering the essential role that it plays in home safety. Betts hopes to double Part P public awareness within the next two years and bring it to the same level of awareness as there is for gas safety within 5 years, which currently stands at 45%. He also stated that the committee have been campaigning for the government to combine the current registered competent person schemes into one single register since 2012. In March 2014, the government promised to have this up and running by the summer of the same year, and have named it Registered Competent Person Electrical. 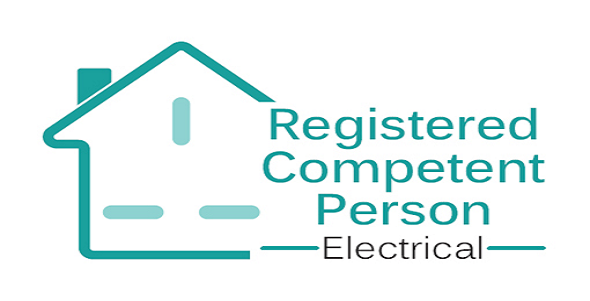 The Registered Competent Person Electrical register will create one simple reference point for the public in order to make sure the electrician they hire is certified as being competent with Part P regulations. The Government also proposed that those carrying out domestic electrical work should be brought up to the competency level of those who meet the 2012 requirements for a qualified supervisor. At the moment those who breach building regulations can face fines up to £5,000 plus £50 for each day that a breach continues after first being identified. With the new register soon to be up and running, we have updated our widely shared infographic on what to look for when hiring an electrician. We highly advise you use this information to stay safe and hire a competent person for any form of electrical work. If you’re interested in a Part P scheme, then take a look at our guide which explains how to join Part P scheme providers, such as NICEIC!